Looks like you missed this special offer. Click the button on the right to shop our store. 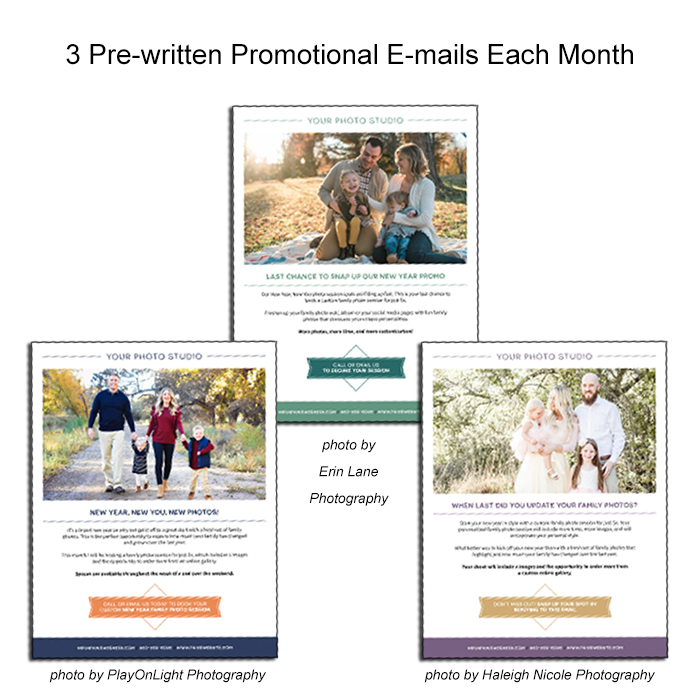 Do you want to use e-mail marketing in your photography business but you don't know where to start? 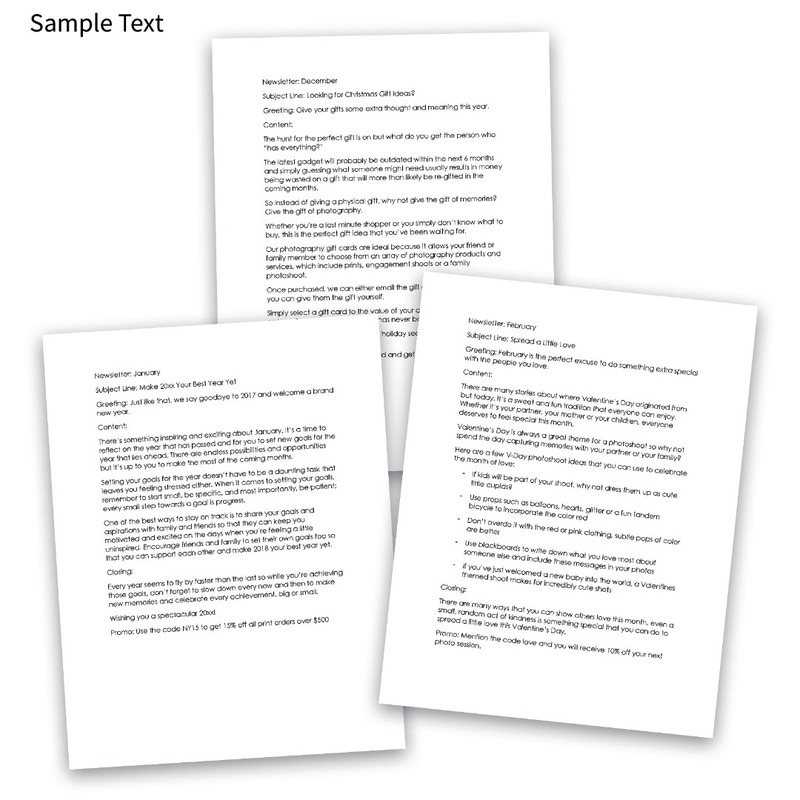 Do you have a hard time with wording and need some guidance and ideas? Do you find it time consuming and struggle with being consistent in sending e-mails? Do you need help knowing where to start and what to say? I understand. You're a photographer, NOT a writer. Is your biggest challenge deciding on the content to create and actually creating it? 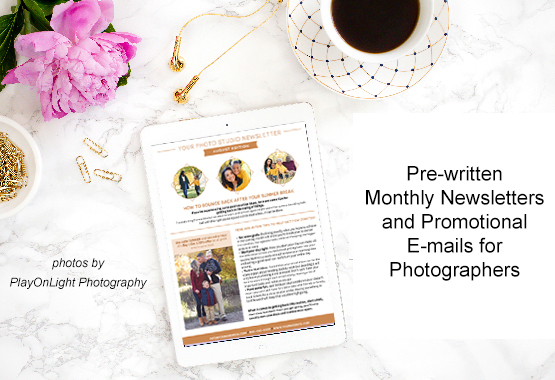 If so, the photographers monthly pre-written e-mails and newsletter subscription will take away the overwhelm. If you find it daunting trying to write emails, this subscription has everything written for you. So if your biggest challenge with e-mails is deciding on the content to create and actually getting it done, this is for you. Sorry you missed this deal. The first newsletter you will receive will be for January. This subscription is only for 12 months. You may cancel at anytime. Enrollment for this subscription will likely not be offered again until after this 12 month subscription period has ended. Get it while it's available. Looks like you missed our special offer. Click the button on the right to shop our store.